This is a rare find. Famed Bucks County framemaker, Frederick Harer, is the artist and frame craftsmen of this piece. Washerwomen, circa 1920s, shows women washing their laundry in a stream. 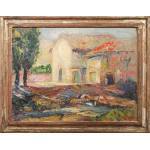 The painting, an oil on board, is in excellent condition and has been cleaned and varnished. Harer was nationally recognized for his hand-carved frames and was the instructor to another well known Bucks County framemaker- Bernard Badura. 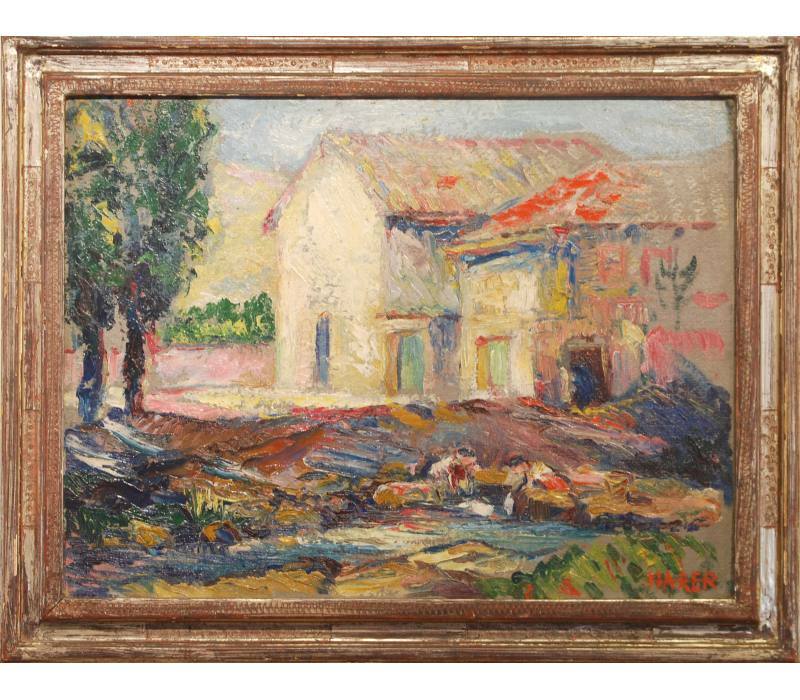 Many are unaware that in addition to his crafting of frames, Harer was also an accomplished painter.